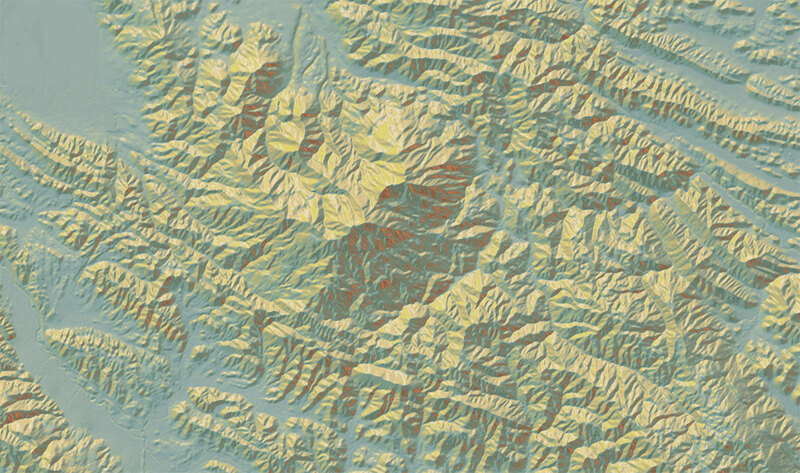 As Mapzen hosted services enter final shutdown we’re proud to offer long-term support for the maps, basemap designs, and the vector and terrain tile data that has powered Mapzen’s cartography. To enjoy the maps into the future, you’ll need to sign up for a Nextzen API key today, and make a few updates to your projects. This page details new long-term support endpoints for various map display related services and libraries, and provides information on accessing the new requester pays S3 bucket which features archival December 2017 vector tiles for the entire world. See it all together at tile.nextzen.org/preview.html. All basemaps have been updated to use the new Nextzen sources, but you’ll need to import a new major version from a new web location. The updated basemap scenes files also include many new icons and a few bug fixes, and are fully documented below. Tangram JS, Tangram ES, and Tangram Play remain open source projects. 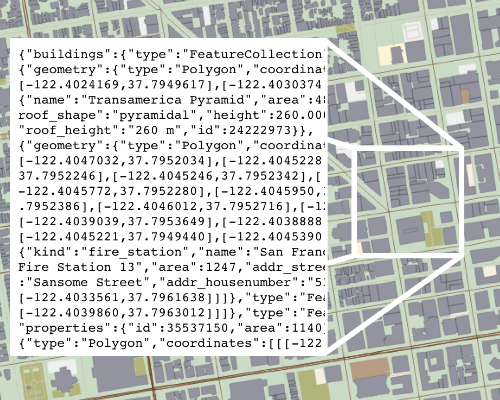 NOTE: The Mapzen.js wrapper around Tangram is not currently ported over to Nextzen. Stay in touch if that’s important to you. To access the Tilezen vector tiles you’ll need to run the same middleware called Tapalcatl-py that powers the tile.nextzen.org service. Tapalcatl reads the hashed-x-y-z-coordinate metatiles (which group many tiles together in one ZIP archive) and extracts and returns the requested tile in the correct format (MVT, GeoJSON, and TopoJSON) and tile size (256 and 512 pixel). Tapalcatl is similar to TileLive and other MBTiles based servers that vastly reduce financial costs associated with S3 gets and puts. This minimizes what would otherwise be billions of individual files, while introducing just a few milliseconds of latency at the edge. Amazon S3 GET pricing in us-east is currently $0.004 per 10,000 requests, and running Lambda and/or CloudFront on top of that adds only a little bit more. Instructions for running Tapalcatl as an AWS Lambda function with Zappa are included in the project’s readme and enable a “serverless” (i.e. 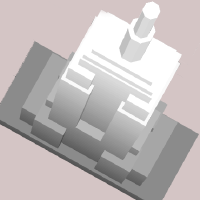 : low maintenance and generally cheap) way to serve vector tiles. Or join our mailing list if you’d like information about hosted instances or future data updates. The 512 and buffered 260 and 516 sized terrain tiles are made possible by running Zaloa as a Lambda function. 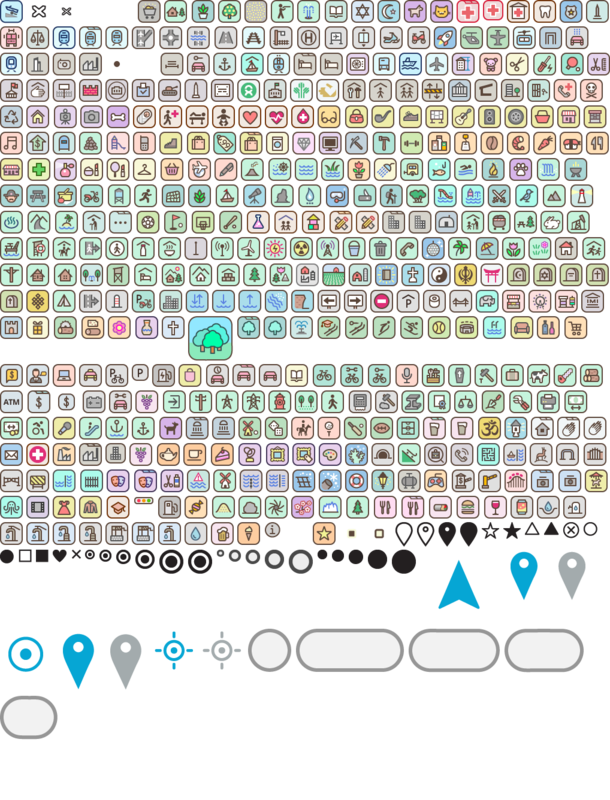 The full Icon Library is available for use in your favorite mapping or graphics software as individual sprite images, independent of the basemaps. Currently only png format at 2x resolution is supported. This release of the basemaps and stand-alone icon libraries triples the number of map icons, with 100% interoperability with the Maki icon set, the default openstreetmap.org cartography, the HOT icon set, and adds icons for all Tilezen POI kinds. (When there is a name discrepancy between Tilezen and Maki, for instance, we re-export the same artwork per name variant.) We also added nearly 200 shields, each with 5 character widths to support localized road shields in more than 40 countries. 290 United States road shields for all 50 states, US Routes, US Interstates, county routes, US Forest Service highways and roads, and more. 668 international road shields, including in: Argentina, Australia, Austria, Bangladesh, Belgium, Brazil, Canada (including all provinces), Chile, China, Denmark, Finland, France, Germany, Greece, India, Indonesia, Iraq, Ireland, Italy, Japan, Luxembourg, Malaysia, Mexico, Netherlands, New Zealand, Norway, Peru, Poland, Portugal, Romania, Russia, Saudi Arabia, Singapore, South Africa, South Korea, Spain, Sweden, Switzerland, Thailand, Turkey, Ukraine, United Kingdom, and Vietnam.